Mirador de La Cruz is a popular viewpoint of Puerto Vallarta. Located about a 20-30 minute walk up a hill by the Malecon, it’s great for those not looking to leave the city center. While I ran out of time to try this hike myself, my friendly Airbnb host promised it’s worth the climb and very doable. For a taste of what the hike is like and what to expect at the top, here’s a video I found of the Mirador de La Cruz hike. 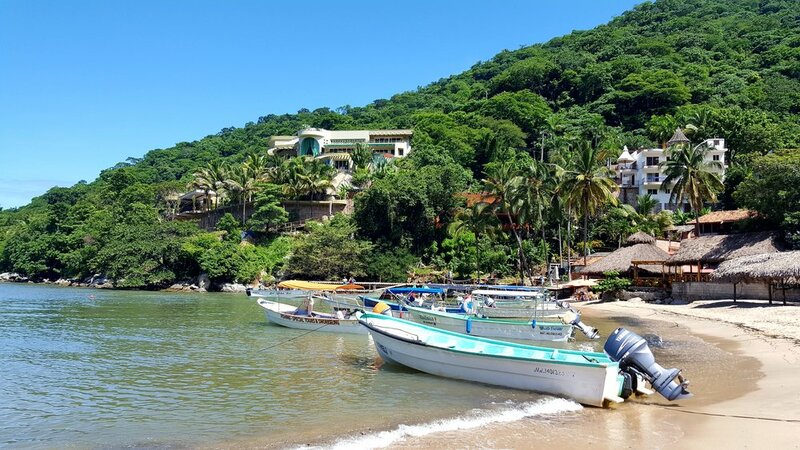 Yelapa is a little beach town south of Puerto Vallarta which can only be reached by boat. It’s pretty touristy and doesn’t offer a whole lot to do besides laying on the beach. 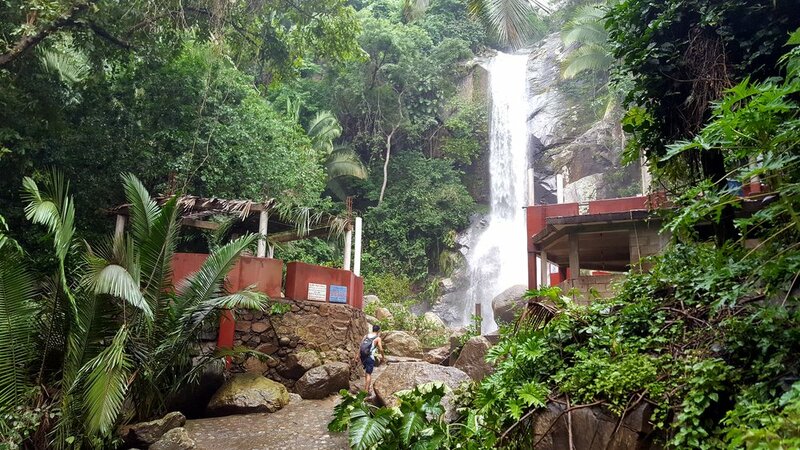 If you’re willing to get your feet wet though, there’s a waterfall you can check out less than 30 minutes away. From the center of Puerto Vallarta, there are two ways to get to Yelapa. You can take a water taxi directly from the pier along the Malecon, or you can first take a bus to Boca de Tomatlan and take a water taxi from there. If you’re not a fan of long, bumpy boat rides or are looking to save money, take the bus to Boca first. On a budget? Check out these other money-saving tips for Puerto Vallarta. The buses to Boca de Tomatlan are orange and white, and pick up riders by the Oxxo at the corner of Constitucion and Basilio Badillo. Buses leave every 5 minutes, so don’t worry if you see one leave right as you arrive. When I traveled to Yelapa, I chose to ride the bus to Boca first because it was INSANELY cheap. For only 8 pesos, I could sit back, relax, and watch the jungle go by. From Boca de Tomatlan, the water taxi costs 180 pesos round trip to Yelapa and back. While still a bit pricey, taking a water taxi directly from Puerto Vallarta costs 320 pesos round trip. Tickets are almost always sold as a duo unless you can convince the driver to let you pay on the boat. This means if you decide to take the water taxi from Puerto Vallarta to Yelapa, don’t count on being able able to take the water taxi from Yelapa to Boca de Tomatlan on the way back. One last thing to keep in mind, the final water taxi from Yelapa directly to Puerto Vallarta leaves Yelapa at around 4 PM. The last water taxi from Yelapa to Boca leaves Yelapa at 6 PM. 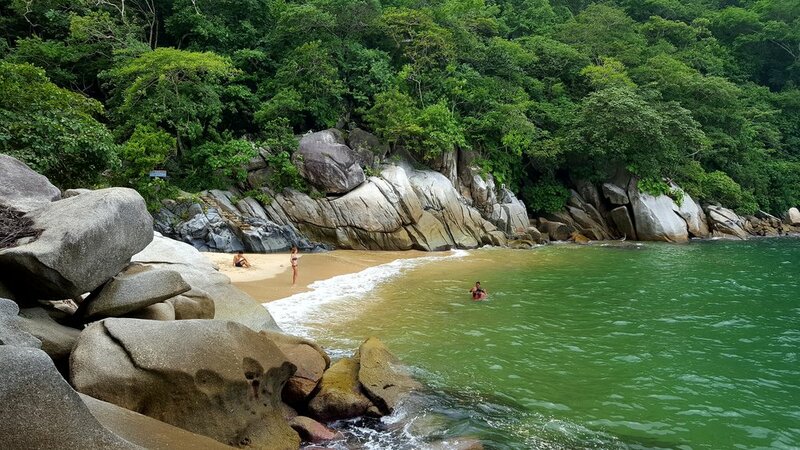 Once in Yelapa, you’ll have to wade across the river on the backside of the beach. The water here is pretty shallow though, and never got higher than my knees. Across the river is a clear path into town. Follow it and keep your eyes peeled for signs to ‘la cascada.’ While it’s a pretty straight shot from here, don’t be afraid to ask locals to point you in the right direction. This hike is a bit of sore spot for my friend and I. When we arrived in Boca, a local told us Las Animas was a short 45 minute to an hour long hike. Neither of us had hiking shoes on, but we assumed the trail would be pretty flat (what’s a 45 minute ‘hike’ in flip flops right)? Hiking to Las Animas from Boca de Tomatlan took us two and a half hours. Which, in normal circumstances would’ve been fine, however, one of my sandals broke halfway and we’d held off on having lunch so we could eat in Las Animas. Looking back though, it was a beautiful trail and something I highly recommend doing if you have the chance - just make sure to eat first and wear proper shoes. At the halfway point to Las Animas, you’ll find Colomitos Cove. This little patch of sand was clean, secluded, and the perfect place to stop and rest for a bit. Once in Las Animas, there’s a couple of different restaurant options. The prices are a bit more expensive here since the location is remote, but I recommend trying the Red Snapper if you see it on the menu. Yuting and I ordered one and it was one of the best things we ate in Mexico. Make sure to plan your time carefully though, as the last water taxi back to Boca runs at 6 PM. If you’ve never heard of Sayulita, it’s a peaceful beach town just north of Puerto Vallarta. I stayed there for a few nights to get some quality hammock time in and was not disappointed! I also enjoyed walking from the center of Sayulita out to a secluded beach called Los Muertos. While not exactly a hike, it’s a decent walk that winds along the coast and passes by a colorful graveyard. See what else there is to do in Sayulita by checking out my Sayulita travel guide. If you’re short on time in Puerto Vallarta or not sure what to expect, here’s a sample travel itinerary for Puerto Vallarta. I was in Puerto Vallarta, Sayulita, and Guadalajara for 12 days and managed to do all of these hikes except for Mirador de La Cruz. Thinking about trying one of these hikes?